A Devon-based cider maker is celebrating its silver jubilee year in style after winning a national retailing award. 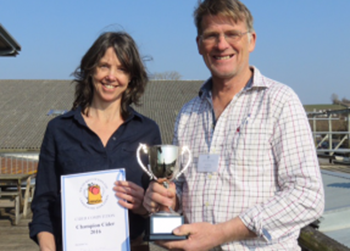 The Green Valley Cyder Barn and Ale House retail outlet based at Dart’s Farm at Topsham near Exeter has won the nationally recognized Drinks Retailing Award for Independent Cider Retailer of the Year 2014. The Cyder Barn has grown from a small outdoor unit selling only cider pressed on site and made only from Devon apples to a large in-store retail outlet stocking 180 ciders and perrys from the UK and across Europe. It is now probably the largest retailer of ciders and perrys in the country and is renowned for its cider tastings held in store every day and for producing bespoke blends to suit individual tastes. Nick Pring and Chris Coles started the business when the famous Whiteway’s Cider Co. closed its Whimple factory in 1989. They attribute their success to the significant growth in cider sales alongside a growth in interest in local artisan products. SWECA held its winter meeting on Thursday March 20th at Thatchers Cider by kind invitation of Martin and John Thatcher. Sixty five people attended to listen to a packed programme of talks, followed after lunch by a tour of Thatchers cider-making facility. 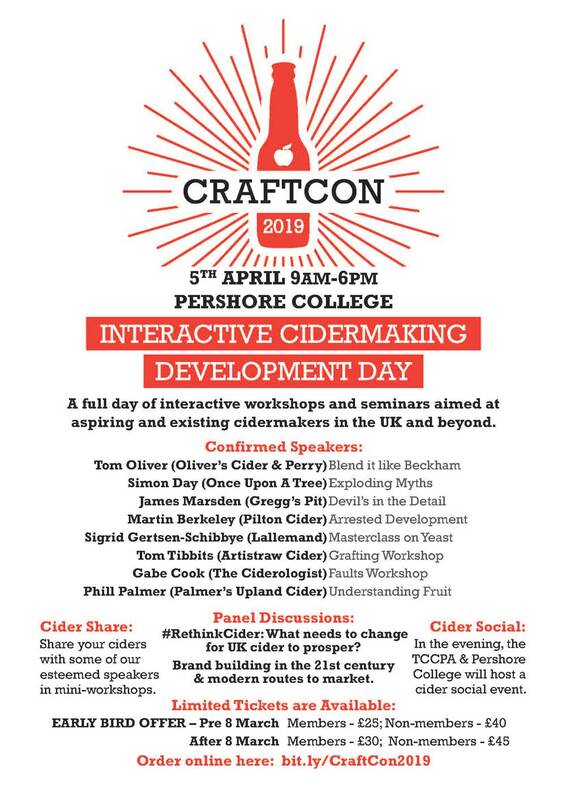 Thatchers Technical Manager Paul Dockerty gave a detailed presentation entitled Avoidance of Off Flavours in Cider, explaining the types of unwanted flavours that can be produced during fermentation and maturation and their respective causes. Paul emphasised that good hygiene and the avoidance of air contact post fermentation were of paramount importance. Robert Fovarque, Agronomist with Pearce Seeds, gave a talk entitled Cider Apple Trees - Post Wet Weather highlighting signs to watch for and actions to be taken in the coming weeks and months following this winter's very wet weather. Damage may not be seen until June or July. During the meeting John Thatcher and Richard Johnson judged members ciders in the first SWECA cider competition. Twenty one ciders were entered and before the presentations John Thatcher remarked that the ciders were of variable quality, some very good. 2nd The Tricky Cider Co. The SWECA AGM will be be held on Thursday 25th September at Green Valley Cyder in Devon.